This is a weekly feature hosted by The Broke & The Bookish. 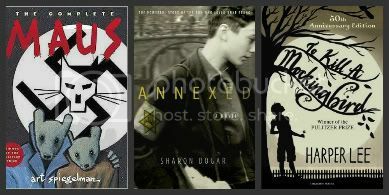 So, I think my list pretty much assumes that this is not a class reading list – because I’m pretty sure a lot of these books are either too ‘girly’ to appeal to teenage boys, or would definitely not be allowed in the average classroom. Still – I think my list makes sense! Looking forward to your thoughts, let me know what you think! I LOVE the way you broke these down into categories. Beautiful. You really hit the nail on the head. Your formatting is brilliant. I got really lazy with my commentary, but you can tell that you really thought about it, which is awesome. And The Duff! So much love. I really need to read The Sky is Everywhere. I actually own two copies of it…. I like this! I tweeted the link. 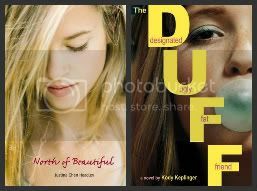 I have yet to read The Duff and The Sky is Everywhere. I watched a great review on YouTube about Annexed. I’ve put Anne of Green Gables in my list too! :)…7 out of the 10 titles you’ve mentioned are new to me. Can you believe I’ve yet to read Harper Lee?!?! Risa recently posted..What Would I Recommend to Teenagers? I also love the way you categorized your list. To Kill a Mockingbird is on my list too along with quite a few other classics. Fabulous list! One of the best I’ve read so far! Love your categories and lists! YES for Anne of Green Gables!!! We Heart YA recently posted..How did you discover Harry Potter? Love your list- I picked Anne of Green Gables too! Like everyone else, I love the way you broke these down! Nice presentation. I liked your comment about your list being “girly” … mine is too. I love the way you’ve structured this list! 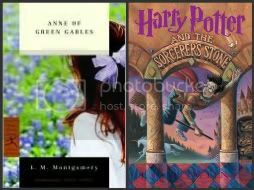 =) And how great is it to see Anne Shirley and Harry Potter sitting side by side? I haven’t read quite a few on your list, but I loved, The Sky is Everywhere, and TKAM is obviously a classic must-read. I’ve been meaning to read Maus for a long time. I definitely agree with you on TKAM. The Sky is Everywhere is wonderful not only as a great story, but also for its fabulous writing. I loved Maus! It was so vivid, I was absolutely unable to put it down.